Are you drinking enough water? I have been moderating a health & fitness group for moms for over a year, and I have been consistently shocked at how few people are drinking enough water! Not just within this group, but just people in general! I'm sure Americans in general. Or the world in general even. I think we've all heard the "Drink eight 8 oz. glasses of water a day" rule, but I have read a lot of things lately supporting other numbers. I think the most common one that I have heard is that you need half your body weight in water per day. So, if you weigh 150 pounds, you need 75 oz. of water per day. Personally, I like this "theory" more, because people of different sizes have different dietary needs. Of course, how active you are, where you live, if you're pregnant or nursing, health conditions, etc. all affect how much water you need to take in daily, but I think this is a good rule of thumb. Anyway, enough about how much you need. Let's talk about how to get it in! I personally love water, so it is not often a challenge for me to get enough. Days where I don't get enough are typically days where I am off my normal-ish schedule. If we are traveling, or I have been out and about all day, etc. I am often just not thinking about water those days if I don't make a point to drink it, so I can understand how people can consistently not be getting enough. I can always tell when I am not hydrated enough though. Once I do have a drink of water, I could drink a whole bottle at once. My body feels heavier, I am more tired, my head feels a little fuzzy or sometimes I even get a headache. So I like to make sure I (and everyone else!) am getting enough water daily. Add something to it. If you don't like the taste of water (I have never understood that one--it doesn't taste like anything to me, but I hear this all the time! ), or you are just bored with it, try adding something to it. Lemon, lime, berries, or essential oils (I use Young Living--glass container only) are all good options to mix up the flavor! There are tons of "recipes" on Pinterest for different kinds of infused waters. Change the temperature. During my second pregnancy, I acquired a taste for icy cold things! I looooved ice cold water and milk. Actually, with my first pregnancy, room temperature water literally made me throw up. I could not drink it without getting sick. But with my second pregnancy, I just craved cold stuff and even after she was born, I really loved ice water. Sometimes now, if I am bored with water, I just ice it up and call it good. 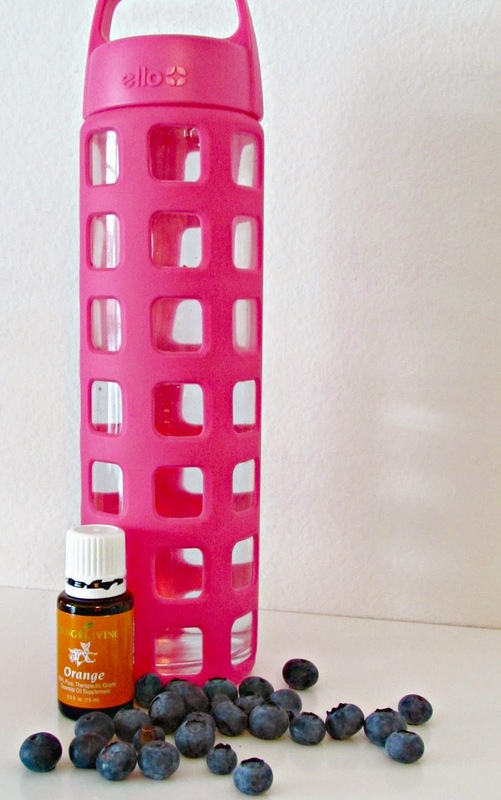 I think this can go the other way too--try warming it up and adding a little honey or peppermint to it! Get a cute bottle or cup. This should be my number one tip. Guys, I think I have a drink container problem. I just love them. They're all so cute and I feel like you can't actually have too many cute cups, right?! Mugs, tumblers, mason jars, water bottles...go getcha one! It'll make you want to drink more, I promise. Also, if you ever need a good gift idea for me....I'm just sayin'. This is not even close to half my stash of favorites. Straws. During my first pregnancy (remember, the one where water made me throw up), besides adding lots and lots of ice first, I always drank from a straw. I don't know why, but I feel like when you are just sipping, it feels more like it is just giving you something to do instead of trying to get your water intake in. I remember sitting at my desk at work typing with both hands, and my camelbak bottle on the desk in front of me tipped and I was holding it with my teeth constantly sipping from it while I worked. LOL. Whatever it took...that baby did a number on me! I also feel like in social situations, you drink more from straws. Talking, sipping, talking sipping....it's mindless and you just keep doing it because its there. Pre Pour. Pre pouring out all of your water for the day is a great way to make sure you are getting enough. I lose track so I don't actually keep track of how many oz I'm getting, I just know I get enough--UNLESS I pre pour them and then I know the exact amount. 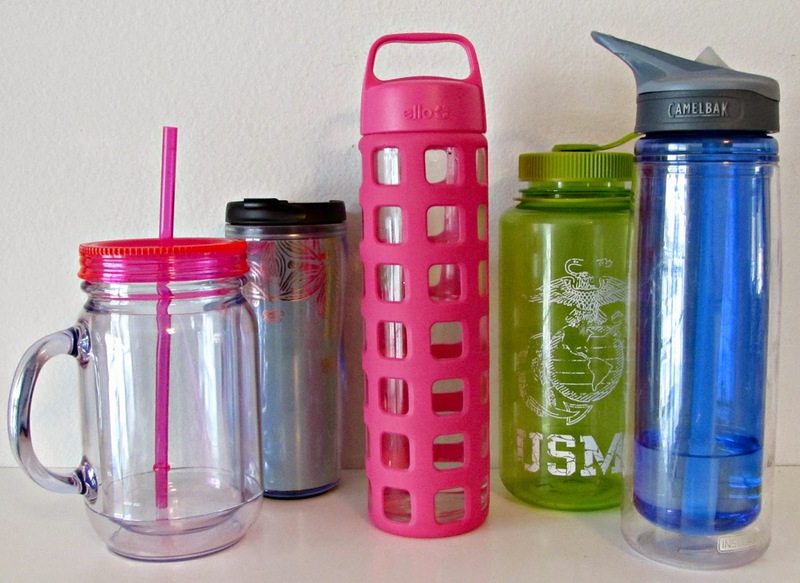 If you are consistently not getting enough water, try filling up some water bottles or a pitcher with how much you need for the day and make sure to drink it gone before the days end. Pack it up. When you leave the house, always take water with you. Always, always, always! If you're running errands, you won't be tempted to buy a pop or bottle of water at the check out if you have one in your purse or car. You will also stay hydrated when you're out doing whatever you're doing. This is where I struggle the most and I need to take my own words and get more consistent with this yesterday. Do you get enough water each day? 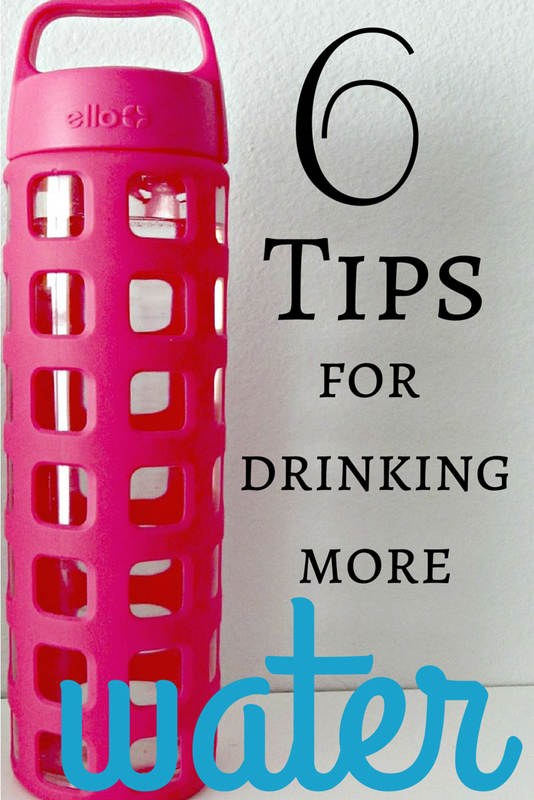 What are some other tips you might have for making sure your water intake is high enough?